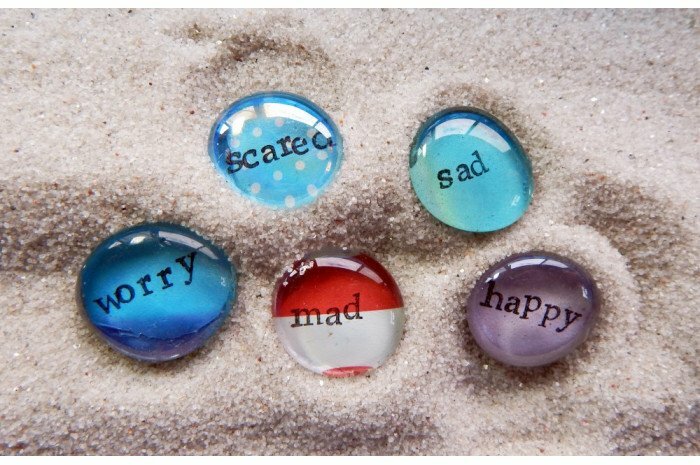 Emotions glass gems are handmade for sand tray therapy. 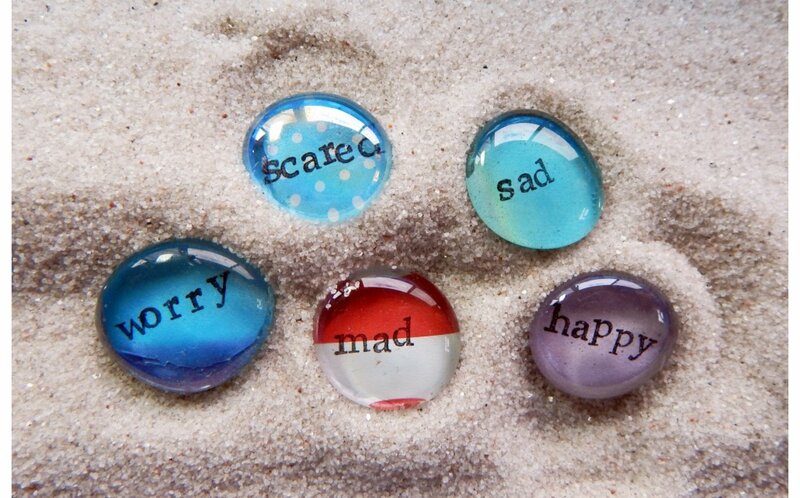 Flat glass marbles with words "scared" "sad" "worried" "mad" and "happy". Not for use in wet sand trays. Set of five, colors will vary. They are beautiful and my clients love playing with them!